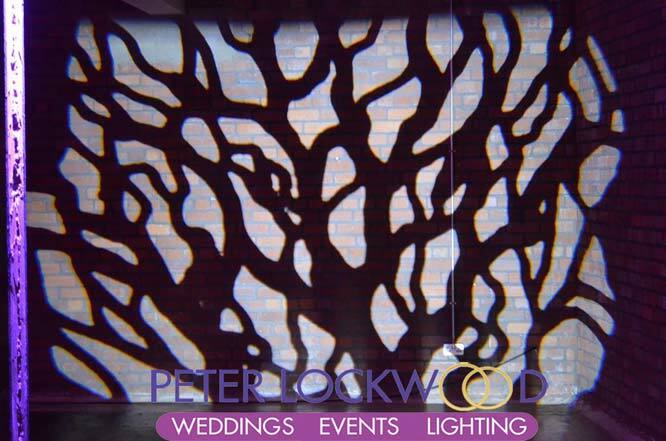 Image projection is like wallpapering with lights you can let your imagination run wild. 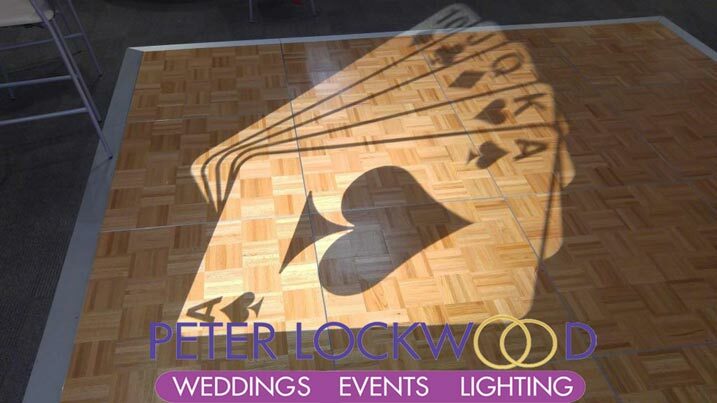 What do you need for Image Projection a gobo, a light to project it and a idea. 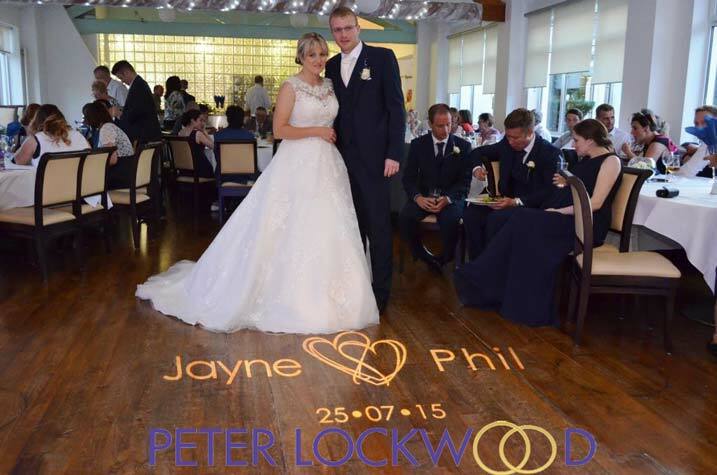 To project an image you need gobo (what is a Gobo? it’s best compared to a stencil or photographic slide mine are made in metal or glass) and a light to project the image from the gobo. 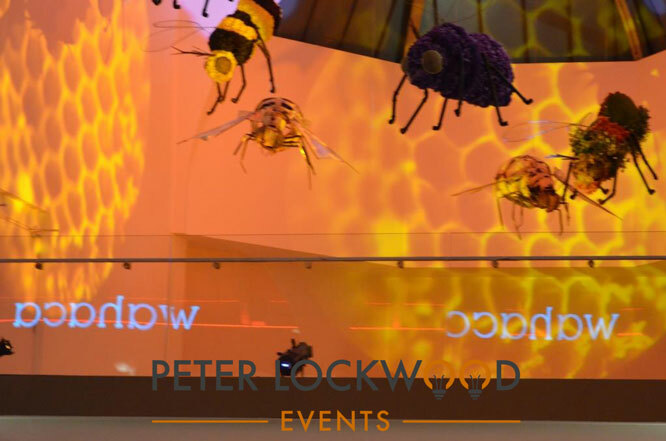 The picture on the right shows 2 size b Honeycomb projection gobos in Manchester Corn Exchange powered by 150w warm white lights. I use six types of lights from the large Source Four to the small ADJ Ikon , they can be used to project Images and custom Gobos on most flat surfaces. 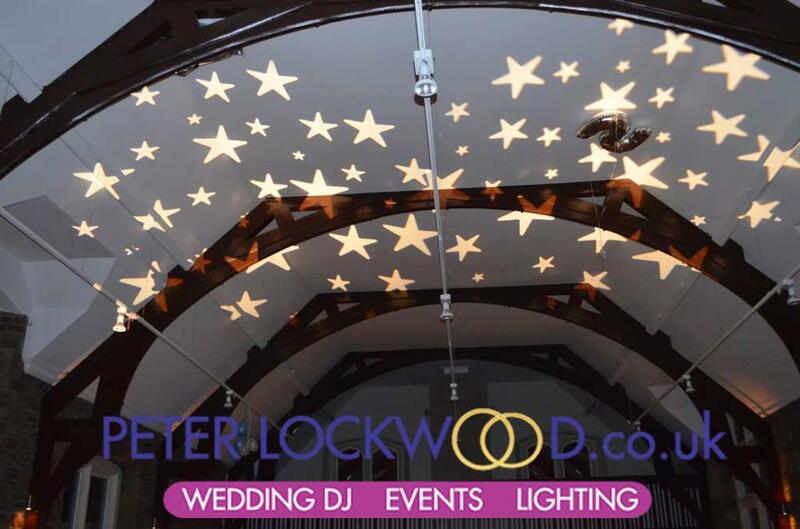 The lights take interchangeable gobo’s in sizes A,B,D,M. Please get in touch with your ideas and I will get a proof made to provide you a idea of what it will look like. 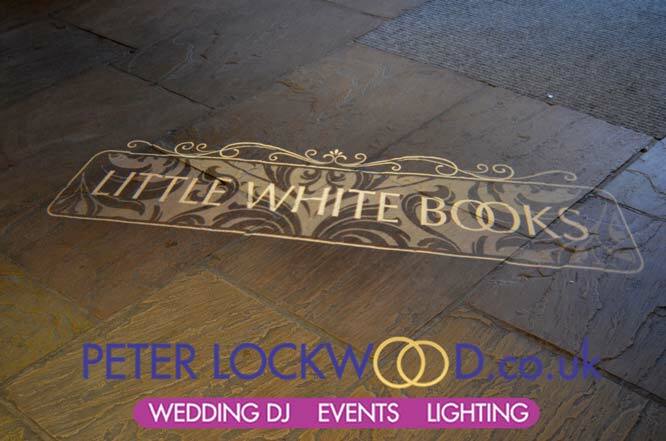 The picture on the right is the Little White Book logo that they use at some of the wedding fairs. Image projection is perfect for displaying your corporate name. 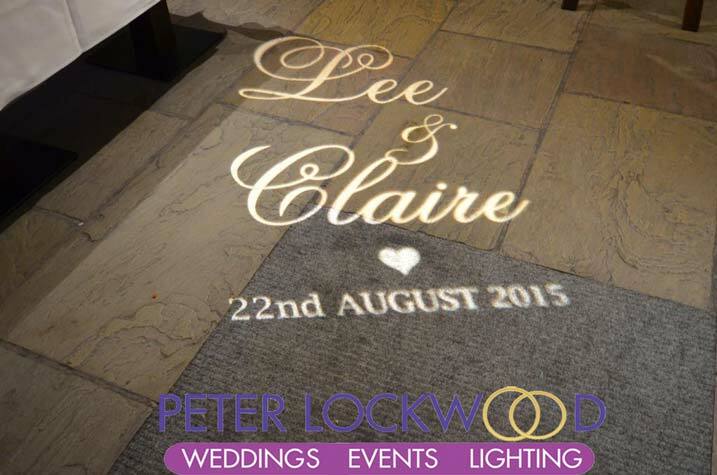 If you want a custom gobo I would pick a glass one it will cost you more but it will look so much better.